I arrived in Malabo on a Sunday afternoon. The heat is oppressive. The airport exit is quite: no taxi drivers bombarding passengers for a ride into town. I find a couple guys sitting in the shade and one leads me to his car. 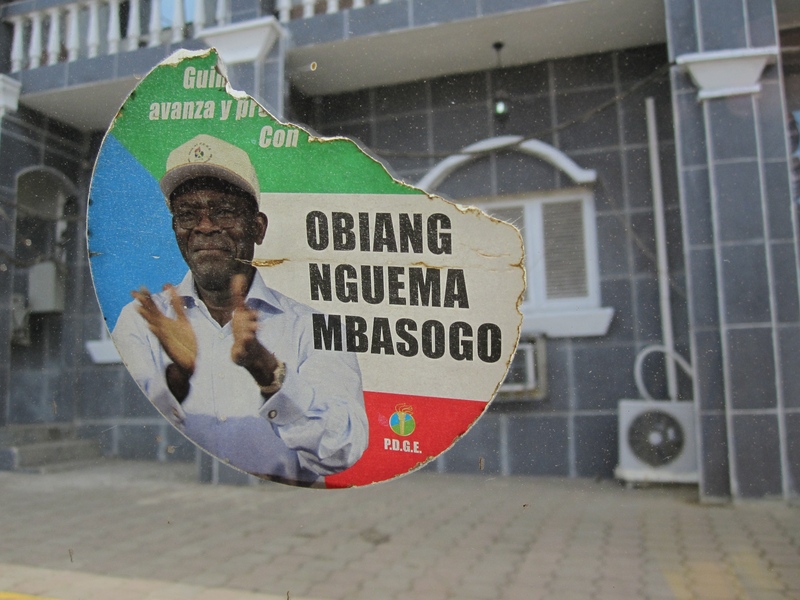 As a former Spanish colony, Equatorial Guinea is the only country in Africa that speaks Spanish and remains the official language. Building a rapport with the driver, I finally breach the question of taking pictures; I’ve been told that photography is illegal and that special permission is necessary from a Ministry. My driver dismisses the claim, but then shows me in actions of snapping a picture then quickly hiding the camera and looking around to make sure no one saw. I decided I’d stray to caution and ask around first to get a better feeling for the controversy. I took the afternoon to walk the streets. 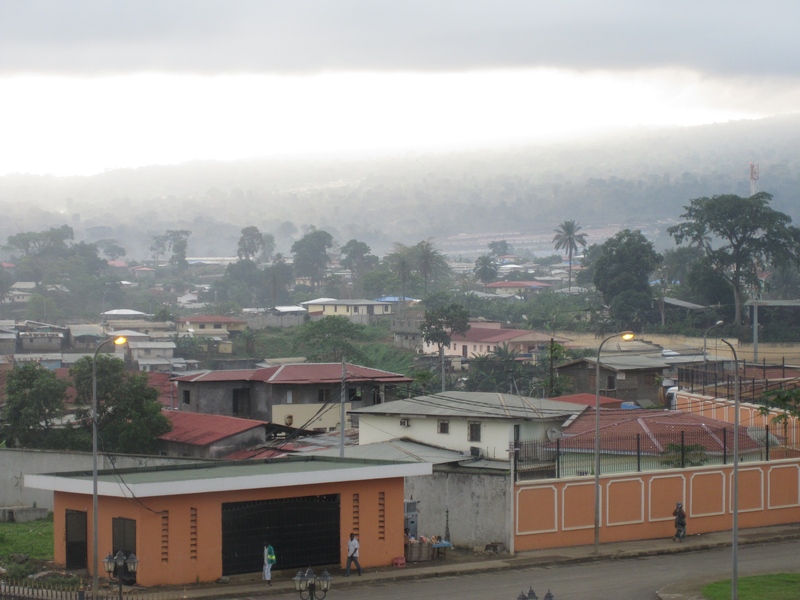 Malabo is situated on the Bay of Malabo and up against a mountain range set with lush jungle greenery. 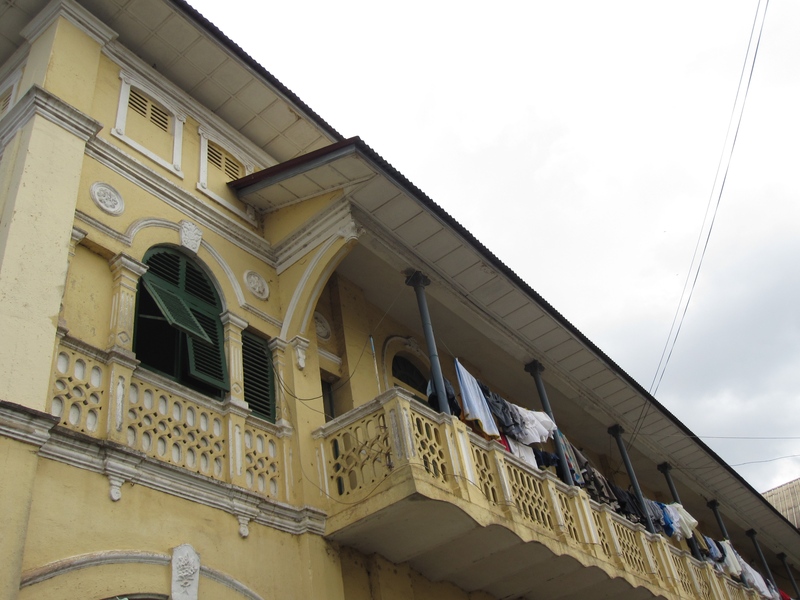 The buildings survive from colonialism and Spanish colonnades dominate the architecture, albeit in disrepair. The city is quiet, slow-moving and people sit on park benches in Plaza de la Independencia outside the Central Cathedral and just opposite the Presidential compound. Siesta is still observed between the hours of 1pm-4pm as all small shops close.